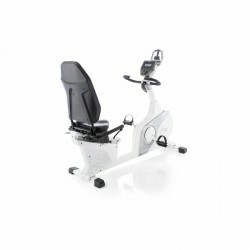 Recumbent bikes do not only protect joints but also the back and are thus popular in home fitness and rehab. 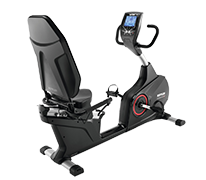 The Kettler recumbent exercise bike Ergo R10 is a very ergonomic recumbent exercise bike and offers the highest level of comfort. Thanks to many easy and practical adjusting possibilities, you can adapt the machine ideally to your needs. In addition, the multiple adjustable seat is equipped with a textile fabric, which is very breathable and which reduces the sweat production. You can do a multitude of programes and train interactively with other persons thanks to the new console. 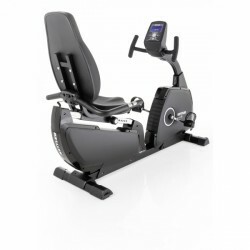 The Kettler recumbent upright bike Giro R Black is well suitable for a back-relieving training with backrest and deep step-through. Selecting from different training programmes offers diversion and a more effective training. Wide-range seat adjustments adapt the machine ideally to your needs.